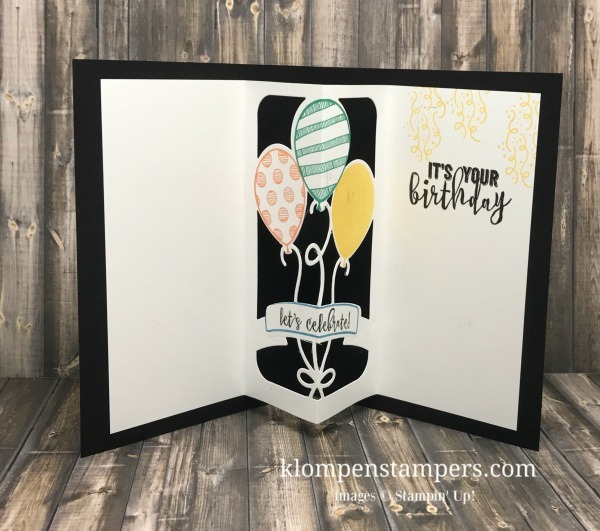 WOW–I almost made it…posting a different Birthday Card every day in February! Just today and tomorrow left…. And then wait until you see what fun I have lined up for March! 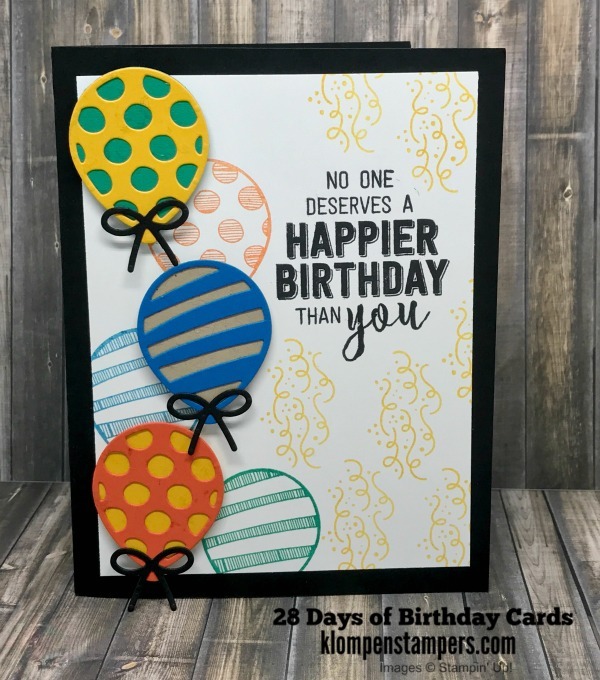 Today I am featuring the Balloon Adventures Stamp Set with the Pop-Up Die! This die is so much fun….AND EASY!!! 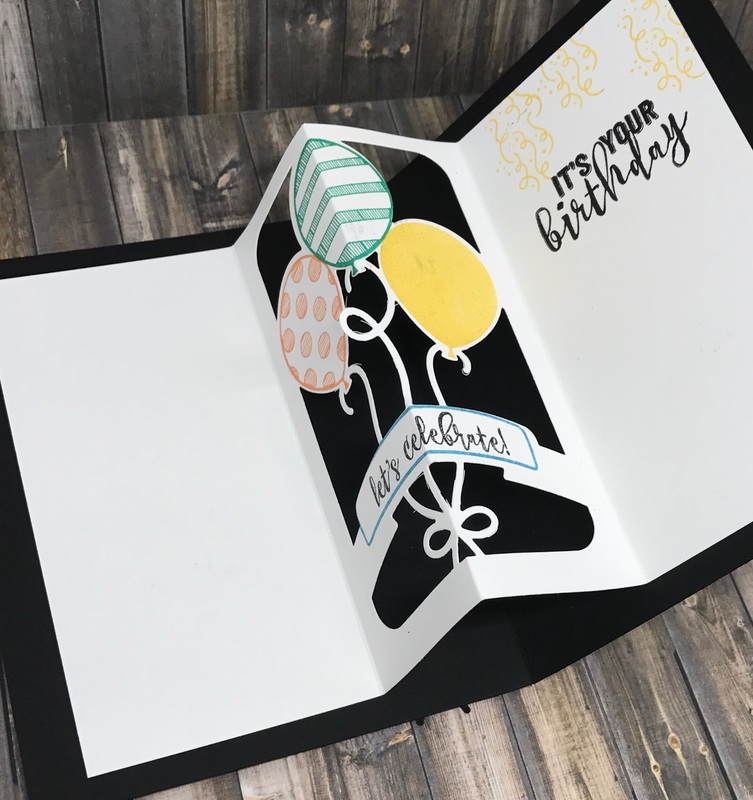 But really hard to get great pictures to show how cool the inside of this card looks! It’s really hard to capture the fun of this pop-up die in a picture! 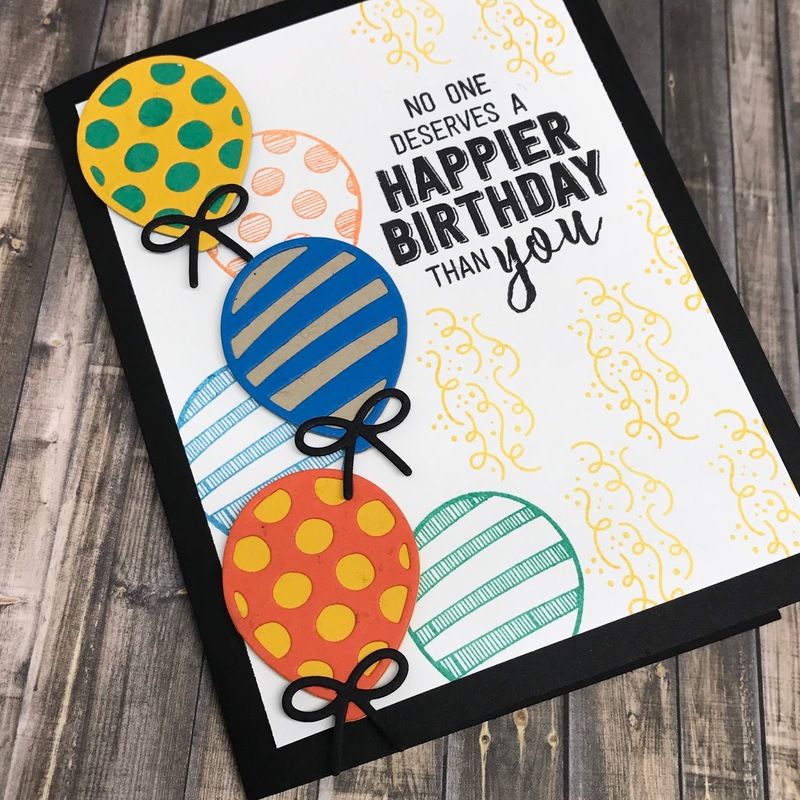 This card will be given away to a winner on my FACEBOOK PAGE! Make sure to visit my page and comment–YOU COULD BE THE WINNER! 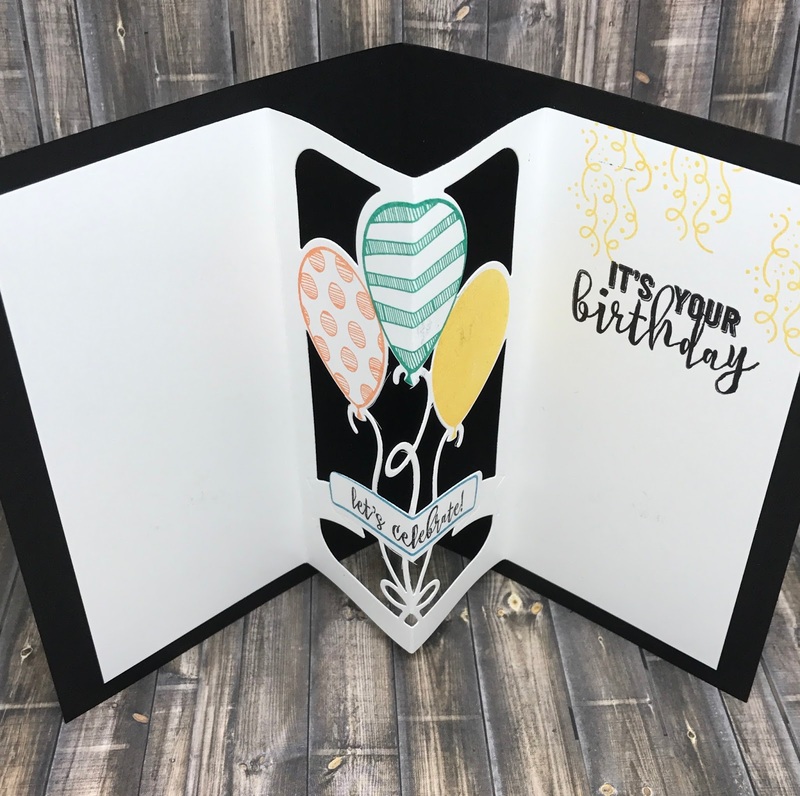 If you are looking for a Stampin’ Up! Demonstrator, I would be honored to be yours!